The committee would like to thank Daniel and John Morgan of the Parc Stud for allowing us to use such a splendid venue and to everybody that came and supported our show. It was a tremendous success with our young judges and a good number of exhibits forward. 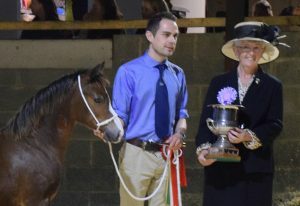 Congratulations to you all who exhibited, the committee would also like to thank Mrs Llinos Spencer of the Felinmor Stud the evening’s president for her kind words and generous donation.